Farmer clusters are a bit of a ‘buzzword’ amongst those involved with conservation of wildlife and protection of resources on farmland. The idea of neighbouring farmers working together might have caused us to sputter over our tea initially - but it has captured the imagination of many and the concept has been a flyaway success. Farmer clusters can benefit not only the natural environment, but farm businesses too, and trigger widespread engagement with communities. Farmers can achieve more together than they ever would in isolation. So, here’s the story of where the idea came from and where we are now! Eight years ago Sir John Lawton’s 'Making space for nature' report was published, crying out for “bigger, better and joined up” wildlife habitats. 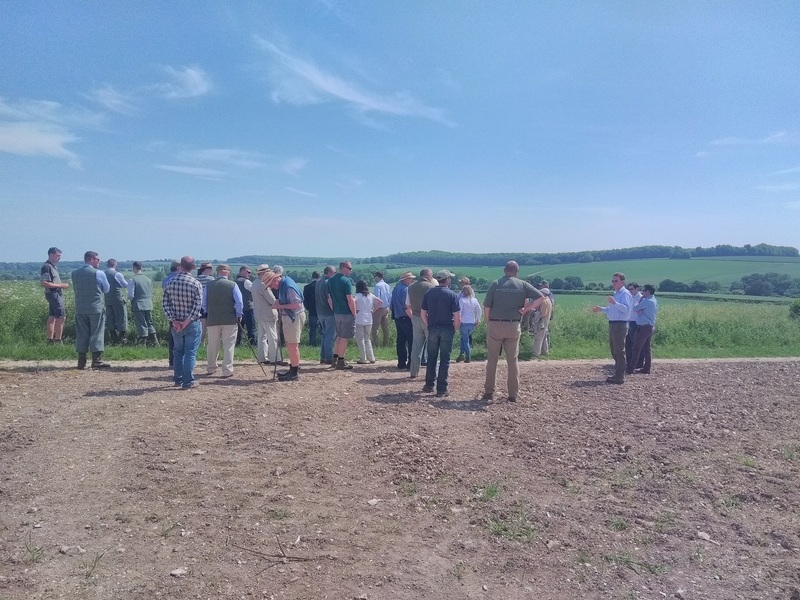 In response, the Game & Wildlife Conservation Trust (GWCT) helped farmers set up a Nature Improvement Area (NIA) in the Marlborough Downs to try a landscape-scale approach to conservation. This was the only farmer-led NIA created, and by the end of the first year, the group had delivered tremendous results on the ground. But could this have happened without a large cash injection? GWCT was inspired to find out whether the 'bottom-up' process of working alongside a group of farmers on a landscape scale would work with normal everyday funding streams such as Countryside Stewardship. So Natural England (NE) funded a GWCT advisor to set up five pilot 'farmer clusters' to investigate this. Setting up these clusters was easy - farmers quickly understood the benefits of joining forces to manage the countryside, showing huge enthusiasm. Soon they were devising their own conservation plans, and choosing target species, issues and habitats. The work was often underpinned by agri-environment schemes (though some decided to dig into their own pockets!) and the groups were ‘facilitated’ by an advisor chosen by them. The facilitator role typically includes organising meetings and training events; coordinating conservation efforts; undertaking wildlife surveys; providing advice on species management; managing volunteers and seeking funding. A facilitator was found to be essential - not many farmers can herd cats and deliver all that besides their business, however enthusiastic! NE responded quickly to the success of these pilots by creating a multi-million ‘Facilitation Fund’ to help pay these facilitators. Word spread fast and three application rounds later, there are a whopping 98 groups across the country! An additional few have pursued private funding e.g. from corporate sponsors, water companies, or self-funding; this can enable a little more flexibility in the operation/goals of the group. So in total, there are now over 100 groups in England, covering 450,000ha and involving 1,700 farmers and landowners. Quite an achievement in less than 5 years! I believe one of the main reasons for the big-bang expansion in number of these projects is because farmers are more invested when they have ‘ownership’ of an idea. A conservation scheme encouraging creativity and companionship - what’s not to like! Taking the topical theme of sustainable water management for example, the first farmer cluster on the Isle of Wight launched in 2017 after 10 farmers along the East Yar united in concern for the high levels of sediment and poor habitat in the river. Since being granted Facilitation Funding, the East Yar farmers have worked closely in partnership with their facilitator and local Catchment Sensitive Farming advisor to hold cover cropping and soils events and trials, and have made improvements to bankside trees and water vole habitat. With a common goal, and participation all along the river corridor, this farmer-led project has huge promise to deliver benefits for soil, water and biodiversity. Another example is the Farmer Guardians of the Upper Thames, a group of 60 farmers and land owners in the Upper Thames catchment. Work is highly collaborative with other organisations and initiatives, and is funded through Countryside Stewardship and facilitated by the Farm Wildlife Advisory Group South West. The group have made fantastic progress over the last 3 years, already delivering measures for surface and ground water protection, soil health, increased wildlife habitat and water attenuation. In 2017 NE made a whole tranche of funding available for 12 groups in the North of England specifically to address flooding and its associated environmental/societal issues. Further, it’s reassuring to note that a considerable proportion of the 100+ groups in England have catchment sensitive farming as a target subject. Therefore, we have many more positive stories to tell, and I hope readers of this blog agree with me that the farming industry needs these stories to be shared and proclaimed. Crucially, now that the initiative is blooming, platforms are needed to help groups report their progress, share ideas and find solutions. Because it’s not always plain-sailing - for example, groups might struggle to come up with fresh ideas, or the funding doesn’t quite go far enough to realise them. But help is at hand - and two ways we have come up with to generate feedback and discussion are 1) regular conferences, and 2) creation of a website/forum! Over 200 facilitators, farmers, stakeholders and media gathered in Birmingham on 1st November 2018 for the second Farmer Cluster Conference, sponsored by Agricology. Just like the 2017 event, it was packed with inspirational case studies, practical discussions, and compelling ideas with which we can all move collectively forward. The presentations are in the process of being uploaded to the new Farmer Cluster Website which was launched at the conference! This new much-needed website is hosted by GWCT but we want it to be an open resource, owned by all. We are seeking partner organisations and individuals who can contribute to the site and share it with all people involved in landscape-scale farmland projects. With everyone’s input, we can make this a dynamic, relevant and useful resource - from groups just starting out, to those who need a burst of inspiration. So check it out and get involved! Whatever form a farmer-led conservation initiative takes, and regardless of how it is funded, we need to spread the word about landscape-scale collaboration and in the words of a cluster chairman from Hampshire, “get more farmers and landowners taking ownership of their ‘conservation destiny’.” By helping people work together, with bottom-up principles, we can all aspire to achieve the best we can for our environment, and by extension, our country. "I come from the Isle of Wight, where my family has farmed a pastoral smallholding on the north coast for three generations. We’ve kept an ever-changing menagerie of feathered, hairy and furry beings over the years. 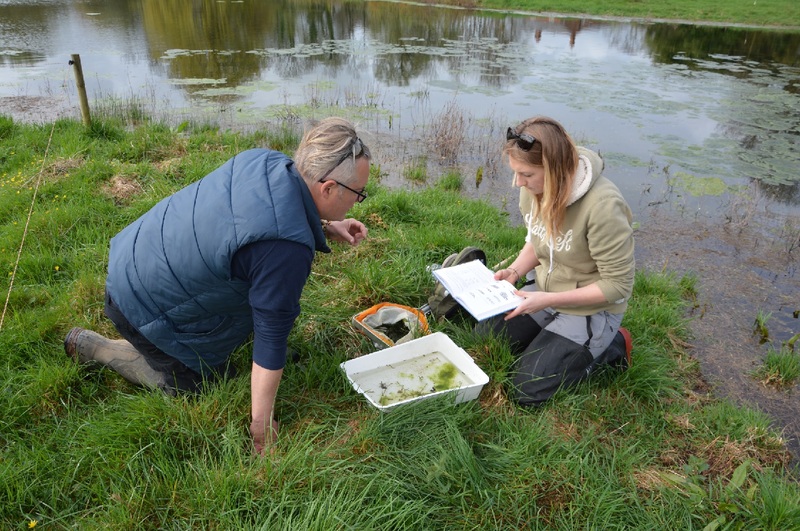 I studied two environmental degrees at Reading University before my first job as an Environmental Monitoring Officer at the Environment Agency. After that I worked as a freshwater ecology consultant, enabling me to visit lots of beautiful (and sometimes bleak) corners in all four countries of the UK. At last I have combined my love of wildlife and farmland to become a farmland biodiversity advisor at GWCT, where I’ve been in position for 2 busy and very enjoyable years! I am principally involved with the farmer cluster initiative which champions sustainable landscape management, and much of my time is spent working on a farmer-led project on Cranborne Chase, Dorset. In my spare time I love portraiture, exploring footpaths and training my dog Merlin. My greatest achievement, as a millennial, is buying a house!"